TME offer has been enriched with new AMPHENOL M12 - RJ45 adapters. The M12 connectors used are encoded in D - Ethernet and the RJ45 sockets in Cat5e category. The adapters are available in straight or angle versions. 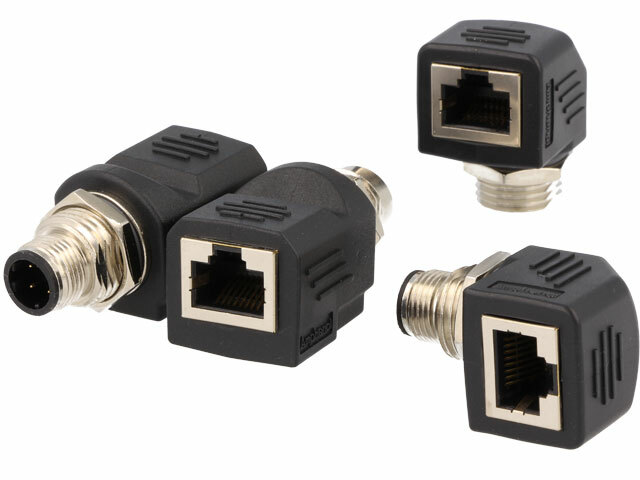 An additional advantage is the possibility to choose the type of M12 connectors (male or female). The adapters casing comply with the IP65 protection class and are very easy to mount on a panel with a maximum thickness of 5mm.